The Rev Canon Fay Lamont has been appointed as the next Dean of Brechin, following the Very Rev Dr Francis Bridger stepping down after six years in the role. Bishop Andrew said, “I am delighted that Fay has accepted the role of Dean. She brings a wealth of experience and knowledge of the diocese and of the Scottish Episcopal Church: she will help me, as a new bishop, navigate my early years in this diocese! Francis Bridger has been a great support as outgoing Dean and he remains a valued colleague, now focusing on work in St Mary’s Broughty Ferry as they complete a major re-ordering and mission appraisal.” Canon Lamont will remain as the incumbent of St Ninian’s in mid-Craigie, Dundee. At the Diocesan Synod in Dundee, the Rev Kenneth Gibson was elected the Synod Clerk for the Diocese of Brechin. Ken, currently serving as the incumbent for Holy Trinity Monifieth, has previously served on the Diocesan Mission Board as well as holding previous ministry posts in Brechin and Glasgow and Galloway Dioceses. 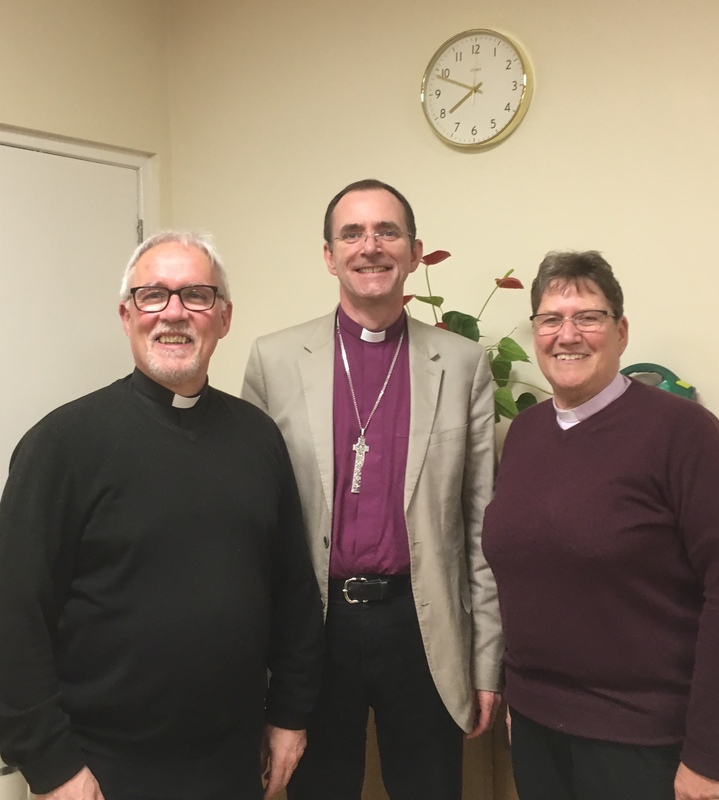 Bishop Andrew said, “I am pleased to welcome Ken to the Brechin Chapter and look forward to working with him and all the Canons as we look at growing an building the life and ministry of the diocese.” The post of Synod Clerk has been vacant since 2018 when the previous holder, the Rev Kirrillee Reid, moved to a post in Calais in the Diocese of Europe. Fay and Ken will be installed as Canons of St Paul’s Cathedral Dundee at a special evensong service, scheduled for 6.15pm on Sunday 2nd June 2019.